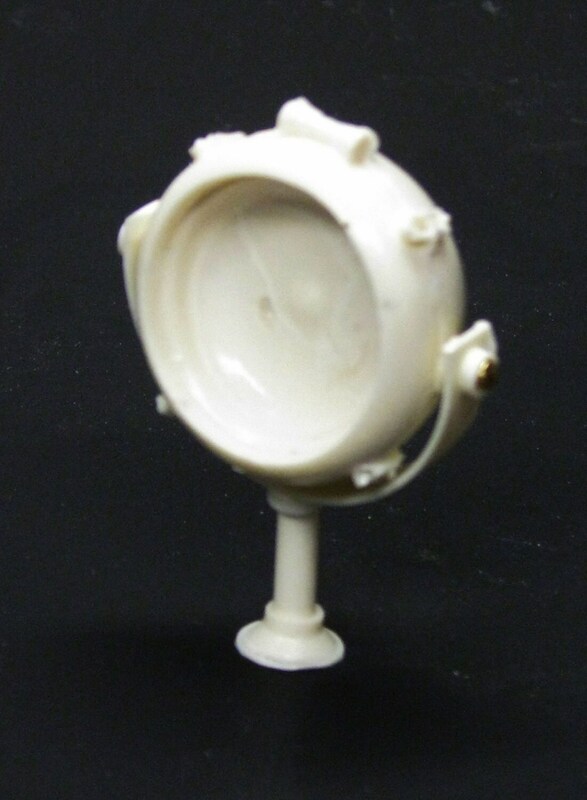 This is a resin searchlight for 1/25, 1/18, and G scale vehicles and dioramas. The searchlight housing measures approximately 1 1/4" wide. The translucent lens measures approximately 1" in diameter. The kit includes the searchlight housing, lens, bracket, handle, mounting post, and three metal pins.This is suitable for attachment to any fire truck, ambulance, or other vehicle model in a comparable scale. (The image doesn't really do this set justice. unfortunately, these tiny parts are almost impossible to photograph or scan) It is in new unused condition. 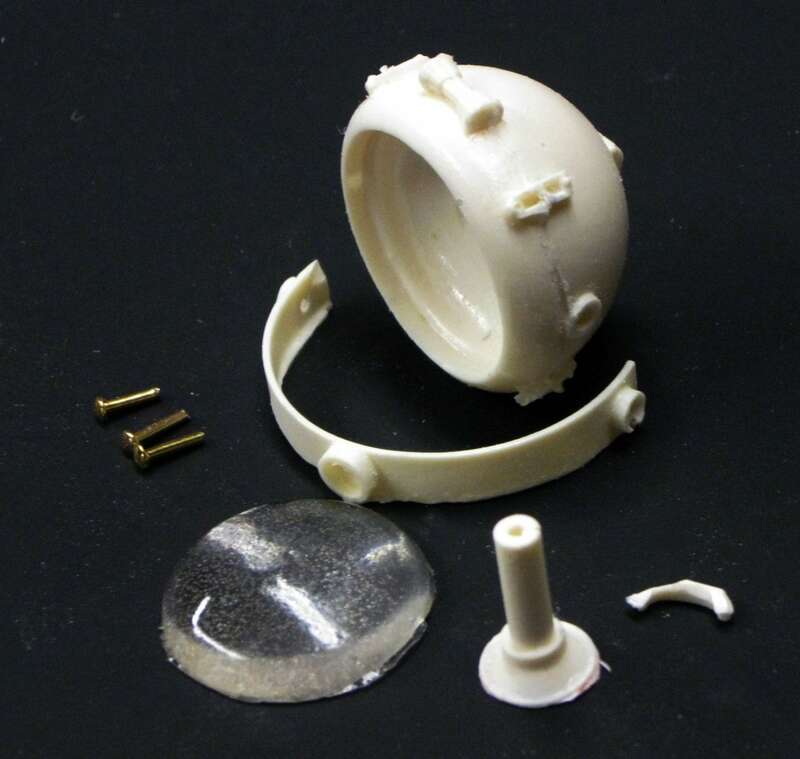 The parts have minor air bubbles and flash and require minimal clean up. They can be painted with enamel, acrylic, or lacquer paints.